The anatomically graphic and colorful chart illustrates the female genital organs. Its easy to teach and learn the anatomy of these important organs with this anatomical poster. The uterus, ovaries, and fallopian tube are shown in medical section for east study. 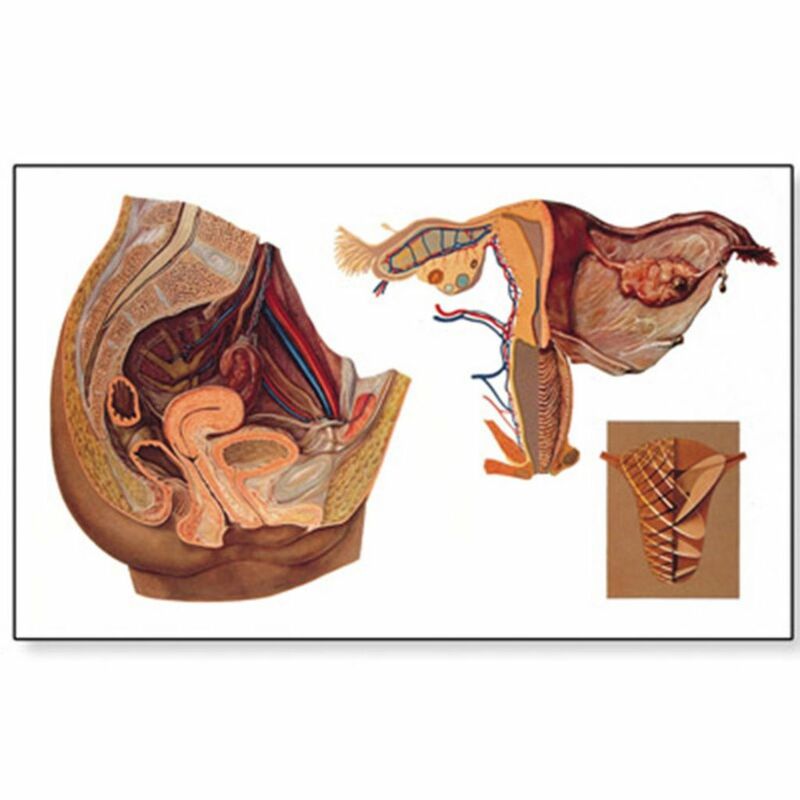 This female genital pelvic organs chart is delivered with wooden rods for easy display in the classroom or doctor's office.